Konark Sun Temple in Odisha is one of the most popular temples of the state of Odisha, India. It is indeed amongst one of the scintillating monuments of religious importance proudly standing with a majestic architecture at Konark. 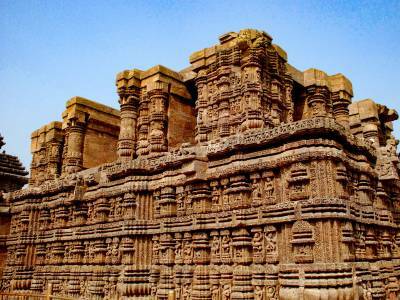 The architecture on display at the Konark Temple is a culmination of Oriya architecture. 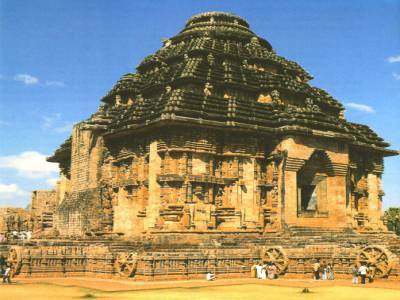 The Konark temple was constructed during the time and patronage of King Narasimhadeva in the 13th Century CE. The Sun Temple is quite nearly located from Puri and Bhubaneshwar, at a distance of 35 kms and 65 kms from these places respectively. 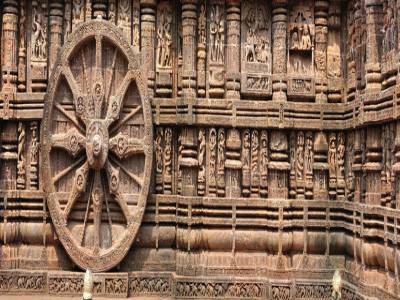 The name Konark has a special significance as it is the amalgamation of the two words Kona and Arka meaning corner and the Sun respectively. This temple was given the name of “The Black Pagoda” by the European sailors for it was a significant landmark for them during their coastal voyage. In those days, where worshipping the nature gods were in great vogue the worship of earth god and sun god were in particular very much prevalent and practiced by the people with great devotion with the sun god being considered as the bestower of desires and healer of diseases. Sun has already been a hugely popular deity for the Hindus right since the ancient Vedic period. The Konark sun temple is a UNESCO world heritage site, declared in the year of 1984. The Temple remains a major pilgrimage site for Hindus after Jagannath temple in Puri, who gather here every year for the Chandrabhaga Mela about February. So all these make the Konark Sun temple a place of great reverence and significance especially when the fact is taken under consideration the time when it was built. And still today it has remained all the same for the Hindu devotees who visit the temple from far and wide across the country to offer their prayers to the divine and mighty Sun God. Accessibility: Transportation is not an issue, from Bhubaneswar airport to Konark is just about 64 kilometer and deluxe buses are available at frequent interval during whole day time and taxi/cab service is adequately available. The distance is about 34 kms from Puri and can take a bus or taxi or cab from Puri railway station or can also avail the train service towards the Konark, which is not so frequent. Accommodation: There are a couples of places to stay in konark, tourists will find affordable guesthouses and budget hotels. 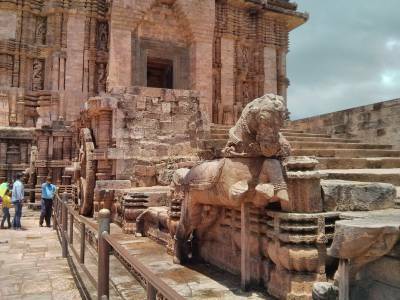 Get quick answers from travelers who visit to Konark Sun Temple.